Author and journalist, Prakash Nanda is editing Uday India, a national weekly, and Geopolitics ( www.geopolitics.in), a niche monthly devoted to defence, security and diplomacy. He is based in New Delhi. Educated at BJB College (Bhubaneswar), Jawaharlal Nehru University (New Delhi), Fletcher School of Law and Diplomacy (Boston, the US) and Seoul National University (South Korea), Prakash Nanda has always tried to blend the rigour of academics with the craft of journalism. Presently a “Distinguished Fellow” at the leading think-tank Institute of Peace and Conflict Studies and formerly a “National Fellow” of the Indian Council of Historical Research, he has authored four books : Rising India: Friends and Foes; Rediscovering Asia: Evolution of India’s Look-East Policy; Nuclearisation of Divided Nations: Pakistan, Koreas and India; and Vajpayee’s Foreign policy: Daring the Irreversible. As a journalist, he has contributed to almost all the national dailies and written in various international publications. He has worked in senior positions in the Times of India and Sahara group. He has written edit and op-ed page articles in almost all the leading national dailies and been a regular columnist of foreign publications such as the United Press International (Boston), Jiji press (Tokyo) and the Independent (Dhaka). A member of various national institutions such as India International Centre, Indian Institute of Public Administration, Institute of Defense Studies and Analyses, United Services Institute, Centre for Public Affairs, Foreign Correspondent Club of Asia and Press Club of India, he has visited the United States of America, Great Britain, France, Germany, Russia, Japan, South Korea, Taiwan, Hong Kong, Thailand, Bangladesh, Nepal, Pakistan, Sri Lanka, United Arab Emirates, Kuwait, Syria, Egypt, South Africa and Uganda, among others. 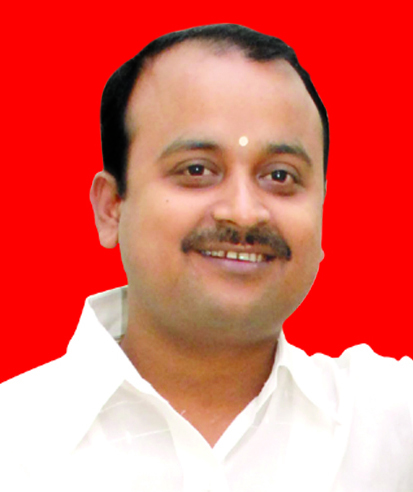 Deepak Kumar Rath is Editor, Publisher and CEO of Uday India (English and Hindi). Uday India is a national weekly published from Delhi and covers issues on Politics, Economics , Foreign Affairs, Rural and Urban Development, Education and Current Affairs. Uday India is read by all strata of society in India. Born and brought up in Odisha, Deepak Kumar Rath comes from a middle class family. His father Shri Hrushikesh Rath is a teacher and famous Orator of Ramayan, Gita and Mahabharat. His father is a veteran personality of Odisha, serving in the field of social service and is an active exponent of RSS ideology. Taking a cue from his parents Deepak Kumar Rath has also overcome many battles. As an editor, he is a wellknown speaker on social and political issues and active participant in different television discussions in tune with the ideology of nationalistic fervor. Deepak Kumar Rath is incessantly endeavouring to establish a media house of nationalistic thinking. He is a science student (Botany) and gold medalist in the field of Journalism and Mass communication in his post- graduation. He is very much active in social and cultural activities in and around Delhi and Odisha.